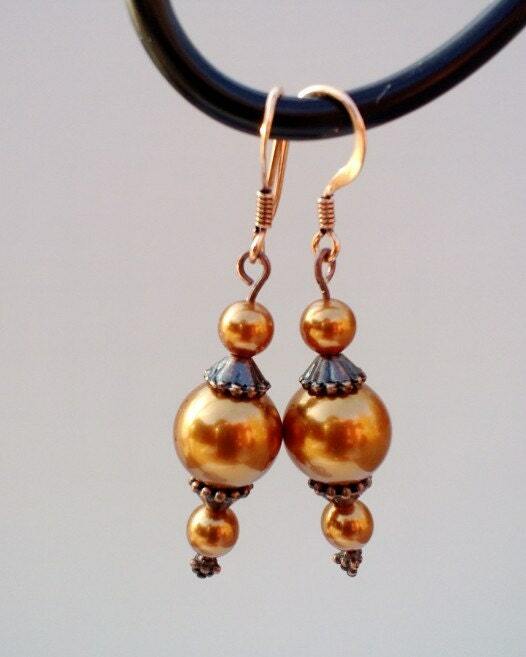 Pretty Bronze Dangle Earrings...to accessorize your wardrobe with! Such a wonderful color for those who love gold and brown tones...neutral enough to wear with any color! These earring are made using Genuine Swarovski Pearls. You can see it in their shine! Dange length is approximately 1.5 inches.